Peter McLean was born near London in 1972, the son of a bank manager and an English teacher. He went to school in the shadow of Norwich Cathedral where he spent most of his time making up stories. By the time he left school this was probably the thing he was best at, alongside the Taoist kung fu he had begun studying at the age of 13. He grew up in the Norwich alternative scene, alternating dingy nightclubs with studying martial arts and practical magic. He has since grown up a bit, if not a lot, and now works in corporate datacentre outsourcing for a major American multinational company. He is married to Diane and is still making up stories. "Classic sword & sorcery with a wickedly blood-soaked grimdark twist." "A fast-paced tale of military investigation that reads like a blend of Jerry Pournelle and NCIS. 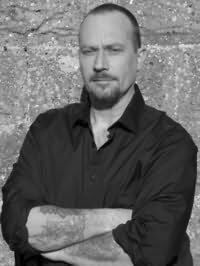 Michael Mammay brings an exciting and authentic voice of experience to military science fiction." "A ground breaking and extraordinary novel." "With tense political drama and rip-roaring action in a fresh and believable Asian-inspired setting, Gates of Stone reads like a collaboration between Joe Abercrombie and James Clavell. Add ancient feuding sorcerers and a queen who would eat Cersei Lannister for breakfast, and you have the makings of an excellent fantasy debut. Angus Macallan is a compelling new voice in epic fantasy."